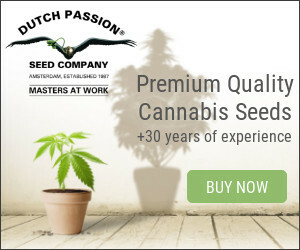 Diamond CBD - is the biggest manufacturer of CBD and hemp products in the US. From edibles to vapes, pet products to oils, Diamond CBD provides organic natural hemp products at the highest level. From edibles such as gummies, cake pops and honey sticks to oils, vape additives, dabs, creams, an entire line of pet CBD products and beyond, Diamond CBD produces over 1,000 CBD products. All made at the highest level of quality available, primarily using all-natural and often organic ingredients, never with any synthetics. Diamond CBD’s family of brands extends to celebrity partnerships with Tommy Chong and his exclusive “Chong’s Choice” CBD line, as well as a line of pain relief creams with NFL Hall-of-Famer Lawrence Taylor. With the best commission base in the market, plus great conversion rates, we provide one of the best deals CJ has to offer. Earn 18% commission on sales. Farm Fresh To You - is a second-generation organic farm that got its start in the Coastal Range's Capay Valley, 90 miles northeast of San Francisco and 35 miles west of Sacramento. The farm was founded by our parents, Kathleen Barsotti and Martin Barnes, in 1976 – marking the early stages of the organic foods movement. Understanding the sometimes harmful methods of modern agriculture, they realized that there was a niche for quality organic produce grown the way that nature intended it to be – organically. We deliver organically grown fruits and vegetables to doorsteps and offices in both Northern and Southern, CA. Our web site offers organic produce delivery services to both home and offices with an average weekly order size of $43. Ongoing customer promotions include $15 Off their first box of organic produce delivery. Flat Commission Payout of $25 per new account sign up. Finding Vino - sell wine lifestyle products. Products categories include: wine glasses, wine racks, decanters, corkscrews, and more. After waking up each morning and looking forward most to our evening glass(es) of wine, we had to make a decision...were we alcoholics or were we wine enthusiasts? Choosing the latter (mostly so our mothers didn't have a heart attack) we turned our passion for wine into a business. Finding Vino is about more than wine accessories and bad puns (do you follow us on social media?). It is our mission to fully embrace the wine culture by providing knowledge, accessories, and creating a community of people who hold a special spot for wine in their hearts. We know how complicated wine culture can get. We want to help those who are beginners at this whole "wine thing" learn a little more. However, we also really want to hear from those who are official (and unofficial) wine experts so that we can learn as we go too! To sum up, our three main goals are: Educate through blog posts; Connect on Social Media; Provide cool stuff to make your wine experience even better. Earn 5%R commission on sales. Food Insurance - offers emergency food supplies and products to help people be prepared for any disaster. Food Insurance meals are of the highest-quality and ahce a 25-year shelf-life. These meals are perfect for preparing for an emergency or for camping and hiking. They require only water to make. Food Insurance offers a starting commission of 10%. We run promotions very frequently and we always make those available to our affiliates with text and banner links. Food Insurance has a very flexible affiliate program. We will work with qualified affiliate to offer special promotions, banners, landing pages and commissions. Full Cup Flavor - There are thousands ways and amazing stories to tell about coffee. Its history, recipes, reviews and feedbacks, blends descriptions and roasting types, while coffee beans and ready to serve coffee cups are among the most picturesque close up photos ever made. If you own a website related to coffee we welcome you to become Full Cup Flavor affiliate. Our store does not sell regular coffee beans / ground coffee, we offer top class freshest gourmet coffee of highest grade the client won't be able to find at the nearest supermarket. That's what makes Full Cup Flavor different. We offer 10% cashback with any order made via your website or Internet resource with your affiliate link. Generation Tea - We began as dedicated drinkers of fine Chinese teas. As we drank the teas with our friends we saw that they too shared our enthusiasm for this beverage. We wondered how many more people had yet to discover the enjoyment of premium tea. We knew that there were many people who would love some good tea, and that began Generation Tea. At Generation Tea we offer you premium Chinese teas. We utilize our resources, experience and knowledge to provide you with quality tea at competitive prices. We believe that tea is perfect just the way it is. Our teas contain no additives or preservatives. We specialize in teas from China. Each region produces different varieties of tea, each with its own distinct attributes. Our tea producers take pride in the aesthetics of each tea and carefully hand process the teas making each one look as special and unique as it tastes. As you discover all the nuances of tastes in these teas, it is easy to understand how Chinese teas are a world unto themselves. Generation Tea pays you 20% on products purchased by your visitors. For example, a typical sale to new customers is around $50, meaning that you would earn $10 on a typical sale. You can even use a full or hage page baner to create your own Generation Tea Sales Page. The Gluten Free Meal Co - is Australia's dedicated, Coeliac Australia-endorsed home delivery service that fulfils the dream of enjoying a delicious choice of restaurant-quality gluten free meals. Earn 10% commission on sales. Gousto - is a major player in the fast growing online healthy food space. Gousto lets you choose the recipes you love and get all the ingredients in perfect proportions delivered to your door. Every week, we have a new menu for you to choose from. Simply cook healthy meals with high-quality produce. Gousto is the No 1 Ingredients Delivery Service Voted by The Guardian. How it works: Get started - choose the box size that fits your lifestyle best. Choose recipes - every week in house chefs create healthy and delicious meals to choose. Receive your box - fresh ingredients delivered nationwide to your door. All you do is cook - easy and fun instructions for all levels of experience. Earn £6 All New Customer Sales, 50p when a non affiliate code or existing customer orders. Green and Blacks Direct - A wide range of great Green and Blacks organic chocolate products. Features a Bar Selection page section to create your favourite Green and Blacks bar packs. A high basket value of around £30 is all year round which makes this program a very good performer. Higher volumes of orders are obviously during Valentine's day, Father's Day, Mother's Day, Easter and Christmas! Earn 5% commission on sales. Hale Indian River Groves - is located in Indian River County near Vero Beach and Wabasso, the very heart of the famous Indian River Citrus Belt -- a relatively small but premier citrus producing area in Florida. Hale Groves is fortunate to have a special combination of rich soil, ample water supply, and moderate climate - very rarely reaching a freezing temperature. All this, combined with our modern grove management, are contributing factors that make our oranges and grapefruit the juiciest and best tasting you will find. Why sign up with Hale Indian River Groves? We have the freshest and best tasting citrus Florida has to offer... Guaranteed! And our site has very high conversions. Our offer includes: 12% commission on all goods (excluding gift certificates and shipping) satisfaction is 100% guaranteed or we replace or refund. Seasonal promotions that make holiday and special occasion shopping even more rewarding. We offer tiered commission structure. Our website is attractive and easy to navigate Gift-wrap services. Specially designed banners and text links to support your business development activities. If a publisher consistently performs, we will increase their commission. The Hamper Emporium - Australian Luxury hamper company offering a range of more than 60 gourmet hampers to suit a variety of occasions, recipients and price points. Shipping of hampers is FREE to any Australian address. Personalised corporate branding options available. Earn 10% commission on sales. Hemp Foods Australia - is the largest Hemp Food Wholesaler, Retailer, Manufacturer and Exporter in the Southern Hemisphere. Hemp Foods Australia was Founded by Paul Benhaim in 2000. Paul became well known after starting the UK Hemp Industry in 1993 creating Europe’s best selling Health Snack (9Bar) in the process. Located in pristine Bangalow on Australia’s east coast Hemp Foods Australia's 11,000 sq ft facility is 100% Australian Certified Organic. We employ purely mechanical, low-temperature processes for everything we do resulting in the most nutritious products possible. We are Australian owned and operated and our management have over 3 decades of combined expertise in Hemp Foods. We have worked with many companies in the food industry and welcome enquiries from businesses looking to get involved with Hemp Foods and fibre. Earn 15% commission on sales. InstaCandy - is the leading consumer candy subscription service headquartered in San Francisco CA. Each month we send thousands of customers a collection of some of the most amazing sweet, sour and chocolate treats from around the world. COMMISSIONS: 1 Month Plan ($24.99 + Free Shipping) = $4.99 Commission; 3 Month Plan ($62.97 + Free Shipping + Saves $12) = $12.50 Commission; 6 Month Plan ($107.94 + Free Shipping + Saves $42) = $21.50 Commission. Intelligent Blends - is a single-serve beverage manufacturer producing recyclable pods for the wildly popular Keurig® and k-cup® brewers. We cut out the middlemen, selling high quality pods with no markups and free shipping. Family owned and operated, we take pride in serving the best coffee & tea pods and in providing excellent service to our affiliate partners. Our coffee is super fresh, incredible quality 100% Arabica beans and one of the best values on the market. Advanced recyclable pods are an award-winning eco-friendly solution made in the USA. We have been selling coffee & tea pods directly through our web store, www.shopblends.com, for over two years and have perfected our online experience boasting extremely high conversion rates and a delivery process across the United States. Eanr 5% commissiion on sales. IsraeliSuper - Kosher Israeli Food - is the leading brand in providing Israeli food and groceries straight to your door! IsraeliSuper carry a broad range of Kosher Israeli products - from Israeli meat to Israeli dairy. Browse Israelisuper.com for the following Israeli kosher food & groceries: Kosher deli, Kosher catering, Kosher frozen food, Kosher fish & sea food, Kosher chicken, Kosher turkey, Kosher pizza, Kosher meals, Kosher veal, Kosher desserts, Kosher steak, Kosher bakery, Kosher dairy, and many other kosher kosher foods. Israelisuper will ship your order anywhere in the U.S and they also offer free delivery for Brooklyn, NY area. Earn 10% commission on sales. LaTienda.com - Since 1996 LaTienda.com has been the preeminent retailer of authentic Spanish & Latin American foods and gifts. LaTienda.com has all your Spanish food favorites including: jamón; paella ingredients and cooking gear; hand painted ceramics; gourmet Spanish gift baskets; and an array of New World spices, cooking chorizos and kitchen tools. With over one thousand products for sale online, LaTienda.com supports Spain and her culture by offering the deepest selection of high quality traditional and iconic products. Whenever possible we support family-owned companies that produce hand-made products using free-range and sustainable resources. Our commissions are among the highest in the gourmet food category starting at 7% and going up! Legal Sea Foods - is proud to stay at the #1 spot in Boston’s Zagat Survey for 2005/06. Legal Sea Foods has set the standard for quality and freshness with seafood and gourmet products that customers love. With popular items ranging from lobster packages to desserts, sauces, and spices, you’ll be sure to increase your revenue! You can earn 10% for every sale you refer when you partner with Legal Sea Foods, one of the country’s #1 seafood restaurants! This program is a guaranteed moneymaker with an average order price of over $100! We use an extraordinarily long 120-day cookie and unlimited action referrals occurrences to ensure you receive credit for your dedicated work. You can trust we are committed to your success—the success of Legal Sea Foods depends on your excellent efforts. Life Loving Foods / AVBM SAS - Be Strong Be Vegan, Delicious, Rich in Protein, Vegan Food versions of popular foods shipped from France. Earn 20% commission on sales. LollicupStore.com - is an online coffee, tea and restaurant supplier under Lollicup® USA, Inc., the largest bubble tea supplier in the U.S. and a major supplier of foodservice disposables. LollicupStore offers a wide range of products needed for operating a coffee shop, tea house or restaurant. Products featured on this website include high-quality specialty beverage and dessert ingredients, disposables and more. Lollicup USA’s brands, Karat®, Karat® Earth, Tea Zone® and Total Clean™ are LollicupStore specialties. Tea Zone is a provider of coffee, tea and frozen yogurt supplies, including tea leaves, boba, fruit syrups, powders and more. We also carry a wide range of disposables from our Karat and Karat Earth lines, including cups, lids, straws, utensils, food containers and more. LollicupStore also features brand name products including, but not limited to, Ghirardelli®, Torani®, DaVinci®, Monin®, 1883 Maison Routin®, Big Train®, Cappuccine®, Blendtec® and more. Our large selection of products allows LollicupStore to be your one-stop-solution for all your beverage and restaurant supply needs. Earn 5% commission on sales. Love With Food - is the easiest way to SNACK SMART and DO GOOD. We are a monthly snack box subscription service that helps you discover the best organic or all-natural snacks delivered to your door for only $7.99/month. Be an affiliate for Love With Food, and earn up to $12 every time someone you referred sign ups for a subscription! For every box sent, a meal is donated to feed hungry children in America. To date, we've donated more than 400,000 meals. Earn $10 commission on all Gluten-free subscription sales; $4 commission on all 6 and 12 month subscription sales; $4 commission on all other subscription sales; 50% off 1st Tasting Box or Gluten-free box for all new subscribers; 60-day cookie; 3 types of subscription boxes: tasting box($10/mth), deluxe box ($17/mth), and Gluten-free box ($25/mth). We only ship within the U.S.A.
Maine Lobster Now - is an Online Lobster/Seafood sales company. We specialize in shipping the highest quality Lobsters/ Seafood all over the United States, Canada, and Puerto Rico. We sell, live lobsters, lobster tails, cocktail shrimp, haddock, scallops, mussels, steamer clams, clam chowder, lobster bisque and even whoopie pies & blueberry pies, along with other seafood products! We start with 10% commission with a 90 day cookie. Our top performing affiliates can make up to 12%. Our average order value is $136.50. Our sales spike for any holiday so definitely get signed up in time for the season! We ship only wild caught, sustainable seafood. Micro Bar Box - opened its virtual doors in May 2015 as a monthly cocktail subscription box - our Cocktail Club. The idea was to give our customers all they need to produce 4-5 cocktails in one delivery, without the need to source separate mixers or invest in full-sized bottles. We were taken on a journey of discovery ourselves amongst Britain's 100s of independent distilleries, finding amazing tastes with beautiful branding. As well as our Cocktail Club monthly subscription box we also have a fantastic range of craft gin and cocktail gift boxes which are tailored to specific themes like "Gin & Tonic" or "Pink Cocktails". The overall theme for all of our boxes is simply fun and great taste combinations, wrapped up in a beautiful box, making them perfect presents. We deliver within the UK and all our boxes can include a custom Gift Card, so the lucky recipient knows who to thank... or who to share it with. We have also recently added a Bottle Shop where full-sized bottles of some of the Great British artisan spirits featured in our boxes can be sourced. Earn 10% commission on sales, rising to 12% when sales exceed £500 per month. Montezuma's - specialise in bringing together fantastic quality ingredients in an innovative fashion to create delicious and unusual chocolate products. The quality of our ingredients is our priority and this means that many of our products are organic. All of our products are made by us in West Sussex and we have a strong ethical stance and conduct business under our 'trading fairly' policy. This ensures that our suppliers, customers and all those we come into contact with are dealt with properly and fairly along the way. We were launched in 2000 from a tiny shop in Brighton and have since opened another 4 shops, and an online store which has gone from strength to strength.. Earn 5% commission on sales. My Espresso Shop - is a small business providing the highest quality espresso machines, grinders, and other related accessories. Our team is made up of coffee lovers who understand the importance of choosing an espresso machine and grinder that is consistent, high-quality, and long-lasting. As our fellow espresso lovers know, having the right equipment plays a very important role in assuring that your espresso is of the absolute highest quality. Based in New York, NY, our mission at My Espresso Shop is to make sure you are able to select an espresso machine and grinder that works for your budget and produces fantastic espresso shots. My Espresso Shop's affiliate program is structured like this: There is a 7% commission on all espresso machines and grinders. When a visitor clicks on a link to our website from your website or social media platform, a "cookie" will be placed on them for 90 days. If they make any purchase on our website within those 90 days, you will be notified, and you will receive the commission. I currently have it structured so you will be paid via PayPal each time your total commission amount hits $50. Two days ago, an affiliate of ours had someone click a link to our site through their blog and purchase a Mahlkonig Grinder (priced at $1845), so they received $129.15 for that one referral. Additionally, there is no cap on your commission. My M&M's - Already available in France, Germany, Belgium, Holland and Italy, My M&M's is now available in the UK! At MyMMs.co.uk you can purchase personalised M&M's through a wide selection of gift ideas, whether you want to send a personal greetings message or just tell someone you love them. My M&M's caters for everyone and every occasion so visit the site today and make all celebrations that extra bit special. The uniqueness of My M&M's means that you are able to choose everything from the colour, message, picture and even the packaging. Let your imagination run away with you as to how you can personalise your own My M&M's. Commission Structure: 0-10 sales/month: £10 per valid order; 11-30 sales/month: £12 per valid order; 31+ sales/month: £14 per valid order. Natures Healthbox - Since 2012, Natures Healthbox has offered the very best 'free from' foods and health & beauty products within the natural, organic and environmentally friendly markets. Based in a small industrial estate near Brighton University, this small, family run internet business has a large directory of products listed upon a user-friendly website that is both tablet and mobile phone friendly. Natures Healthbox provides a friendly and efficient service, putting the customer first whenever and wherever possible. Each parcel is packaged using eco-friendly materials and most orders are usually received within 2-4 working days of dispatch in the UK, and within a week around most parts of Europe. Natures Healthbox are working towards being as environmentally friendly as possible and promote a naturally healthy lifestyle for all! Earn 10% commission on sales.